Being a Christian is like being a pumpkin. God lifts you up, takes you in, and washes all the dirt off of you. He opens you up, touches you deep inside and scoops out all the yucky stuff–including the seeds of doubt, hate, greed, etc. Then He carves you a new, smiling face and puts His light inside you to shine for all the world to see. It’s now 11 a.m. and I’m home from my 4th radiation treatment (31 to go); I thought it seemed quick today and they said “Yes! We didn’t need to take any xrays.” Interesting – I LIKE this quick visit! It’s chilly outside (47 degrees F.) and I’m slowly watching the changing of the seasons and noting what I’m seeing on my walk into the Cancer Center. Weeks ago I picked up a single pink rose petal on the sidewalk and kept it in my pocket just to remember the nice weather. Last week there was a tiny red maple leaf that took it’s place. Today the sidewalk was littered with small oak leaves – soon they will be replaced by snow – it’s Michigan and that’s a ‘given’ for us. I’m taking all of this a day at a time; I met a lady last week who has her treatments about the same time as mine; today I chose to start chatting with her. Her treatments are more intense than mine and I haven’t quite figured out how to approach discussing details but I’m sensing a pretty big amount of anger and doubt. With each sentence her voice is NOT hopeful and her words are curt; I’m trying my best to keep a positive outlook on my diagnosis and am VERY grateful that my cancer was found early. We both said we are doing the ‘day at a time’ approach but that gave me a small chance to quote one of my favorite Bible verses: “This is the day that the Lord hath made; we will rejoice and be glad in it.” (Psalm 118:24) I have learned, through this ordeal, that each day has special meaning – even if it seems like it’s just another dull day – it’s a day that the Lord gave me – how I chose to use it is my choice – whether I use it to do some good or squander it – it’s my choice. I’m CHOOSING to try to do good, keep a pleasant attitude and give GOD the glory for my life, EVERY DAY because my outlook could have been very grim, if the cancer was not found early. Either way – another verse comes to mind: “For me to live is Christ; to die is gain” (Philippians 1:21). What does that mean? For me, it means that IF I live, I try to live my life as my Lord would want me to; if I die – I know where I’ll be going, as promised in the Bible – my life will be hid in Christ. What MORE could I ask? it’s a WIN=WIN situation! THEREFORE I CHOSE TO BE HAPPY THROUGH THIS WHOLE THING! Yes, I know – I’m preaching (it happens sometimes) but I’m preaching what I sincerely believe – my life is NOT my own – it belongs to the Lord – He made me, He sustains me, He is with me through this and will be with me to the end. I turned in another two chemo caps today (no photos – they were plain hats – a dark green mans cap and a white with blue border womens hat); that makes 16 caps so far. Later on today I’m hoping to go to JoAnn’s to see if I can find some really soft white baby yarn and maybe locate a skein or two of Bernat’s Baby Jacquard yarn (usually only Michaels has that, but we’ll see). That’s the really cool yarn that makes it own designs when you knit it (the pink one makes various pink colors mixed with dark greens on a white background which looks like pink flowers on a white background. They make blues, purples, yellows, oranges but not all of them knit up looking like little flowers). (Just got back from a trip to JoAnns – apparently JoAnn’s own yarn brand “Sensations” now makes a baby self-patterning yarn called Baby Muffin, so I bought a skein of their yellow combinations – we’ll see how it works up. Not much planned for this coming week (which is a good thing, sometimes! ); more knitting, special needs group and that’s about it. Tonight I’m planning on making a household ‘staple’for dinner: “Meat & Potato Pie” (I’m SURE I’ve posted that recipe before). It’s basically a big meatloaf in a 9 x 13 pan, frosted with mashed potatoes which are topped with shredded Cheddar cheese – the guys love it and it’s good for 2 dinners, so that’s always helpful. Anyway-speaking of food – here’s more recipes for ya! with lemon juice, salt & pepper. reserving remaining half. Bake 15 minutes. Remove and baste with remaining glaze. of oven 5 minutes before slicing & serving. and dates. Let sit until cooled. The Numbers They Are a Changing! Today was Day #1 of visiting Radiation and there were some ‘interesting’ changes – apparently the Radiologist decided to change the total days of treatment from the (anticipated) 5-6 weeks to a total of 7 weeks! Why? He said that allows for the variances of holidays, or if I might chose to take some time off during the treatment – sure wasn’t wanting to hear SEVEN, instead of less, but ‘it IS what it IS!’ so we’ll do it. Next came my ‘tattoos’ – after chatting with several friends who have already been this road, I’ve discovered those numbers change, too! A friend who had the same treatment 9 years ago has SEVEN little tiny ‘dots’ on her (tattoos), our choir director’s wife (the most recent one to go through this) has Three – all at her waistline! (she had total mastectomy on both breasts then reconstruction about 2 yrs ago.) When I went in today, they had said ‘probably 2’ so that’s what I was prepared for – NOPE! Got FOUR, three on the side of the radiation and another one on the left waistline – weird! They are very tiny black dots – you would mistake them for freckles, so that’s no big deal. Did they hurt? Only the first one which is directly in the center of what would be called my cleavage – that stung for quite a while – I’m guessing because there’s not a lot of fat to pad that area (whereas the other areas have more ‘padding’, which sort of dulled the feeling/sting). So, numbers? Seven: (weeks) instead of 5-6; tattoos: 4 instead of 2 . . . it’s all good. Oh! I don’t actually START radiation until Wednesday! The Radiologist said it takes him about a day to calculate all the numbers for my treatment. Another ‘number’ which really shocked me was the total cost of JUST the radiation. I was chatting with the receptionist (who is also an insurance expert) and asking her if I’m going to have to pay (our usual) Co-pay for EVERY visit (normally $25 per visit). Figure that all out – 5 days a week for 7 weeks @ $25.00 each – that’s gonna run into some money! ($875.00) She looked it up on line and said the radiation treatment ALONE is $50,000 -THANK HEAVENS for INSURANCE! Oh-another thing – turns out they don’t ‘do/use’ the gel bed for breast patients – at least at this facility. I’ve heard from the other two ladies that already had radiation, that the facility they went to had the gel bed that they make a mold of your body shape with, then you have the same position each time. I also learned that Doan’s Back Pills and I will (once again) become great friends – the actual radiation machine ‘bed’ is hard, molded plastic and even with several wedge pillows, I was very uncomfortable in my lower back area (my back just doesn’t bend right). The assistant tried several various ‘pillows’, but I gave up and thought: Come Wednesday I’m taking a Doan’s before coming – that will relax those muscles enough to be tolerable.” We’ll see; it’s only 10-15 minutes for the actual treatment. Anyway, it’s a gorgeous Fall day today; 57 degrees F., sunny skies and the most beautiful robin’s egg blue sky with big, fat fluffy clouds – a great day for taking a walk, so that’s just what I did! The radiology department weighs you with your SHOES ON – (not a good thing) so I decided to start my 7-week attempt to lose some of this weight BEFORE they put me on the ‘pill’ (Arimidex) for 5 years which WILL make me gain weight (another not a good thing!). If I can start walking each day (barring rainy weather – which we’re supposed to be getting for the rest of the week), that will help. We also have a walking ‘machine’ in the basement and I’m just going to have to put my mind to it and start the process – I’m not getting any slimmer and, with that pill, I DEFINATELY won’t be, so here goes. Since I don’t have to start radiation ‘technically’ until Wednesday, that gives me Tuesday as a FREE day! Tonight my youngest has a choir concert (he has a short solo in one number and his own solo for another part), so that will be interesting. Tomorrow husband is taking the new van to the dealership for warrantee work and to possibly look at another used van. Our old one (my old 97 Grand Caravan) is really on it’s last legs; that’s the one that left me stranded numerous times earlier this year, leaks tons of water (after a rain) on the right front passenger’s feet and we’re just ready to have two vehicles we can count on for the next few years. My husband is thinking around 2007 or younger and another minivan (we love them and they work out very well for our family’s needs). It will be nice to know that when snow comes (and here in Michigan, it definitely COMES!) we’ll have vehicles that can handle it. Took the four knitted chemo caps in today and delivered them; I’m currently working on two more: a solid dark green one for a man, and another women’s light blue brim and white top. Tomorrow night is my knit group and I’m looking forward to hanging out with ‘the ladies’ again. Wednesday is my special needs group and Friday night is their Harvest Party, so it’s going to be a very BUSY week! Dutch oven over medium-high heat. simmer 10 minutes. Serves 4.
pasta is tender) stirring occasionally. sauce and pepper sauce; bring to boil. chicken is tender & flavors are blended. completely. Serve topped with Cool Whip. Learning to Enjoy R & R! Well, like all who have been laid up with an illness, I’m slowly learning that I absolutely MUST REST whenever I can. Thursday night I ended up going to bed early only because I was attacked by a huge bout of shivering! I couldn’t get warm, no matter what I did – slipper socks, heavy flannel nightgown, sweater and 2 heavy blankets – nothing helped! This lasted most of the night, waking me up at 1 a.m., 4 something, 6 something and finally woke up at 8:20 with no more shivering – YAY! 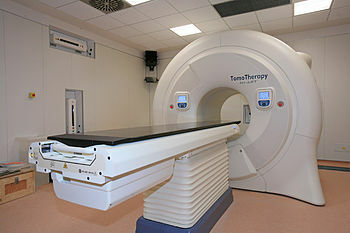 Bad part of that was it left me really worn out – but no time to bemoan that because I had a 10 a.m. radiation treatment. The nurse told me to mention that to the Radiologist, just in case it might be a strange side effect, but he said no. Think I might had ‘dodged the bullet’ so to speak – heard from several friends that there’s a flu bug of sorts that is mostly shivering, fevers and stomach problems (so glad I didn’t get any more!). Friday night was my special needs group’s Harvest Party; still feeling worn out but HAD to go (our main leader is in Tenn. with her parents-her father is gravely ill). My middle son begged me to stay home – “You’re setting yourself up for something serious! Mom, you have CANCER!” You know me – stubborn, even to a fault, I guess. I went but told the other helpers that I would point out what needed to be done, let others lift anything heavy, help serve the food, then go home early – which I did. I’m glad I held to my own ideas; things got done and I wasn’t overly fatigued by it. Feeling a little better today, a little more ‘chipper’; youngest has his last Band Competition today very far away (thankfully they go by school bus!). He asked if I would make him French Toast for breakfast, being it’s very cold outside and they will be outside for the better part of the day (they don’t actually compete until 5:30 tonight, but have to be at school by 10:45 a.m.). I made him French Toast then middle son came home and looked hungry so I whipped up an omelet for him using some leftover Pork chops, fresh mushrooms, sliced onions and Cheddar Cheese; there was enough for me to have a small portion, too! (Big surprise – got on the new scales today and I’ve lost 2 lbs.!) YES, I’m trying to lose weight. When I’m done with the radiation, I’ll be starting ‘the pill’ – Arimidex – a estrogen-killing pill which I will be on for 5 years and the MAIN side effect is WEIGHT GAIN! UGH!!! So, I’m taking full advantage of this time to try to reduce my weight NOW, before seeing it go up again – not a good thing, in my estimation. My choir director’s wife is on that pill now and said that she’s gained about 30 lbs since starting it – UGH!!! Finished another two chemo caps. When walking past my Radiation doctor’s office yesterday his nurse called me in. “These are YOUR caps, right?” she said as she pulled out 3 of the 4 I’d donated. (yes) Apparently a patient saw them the other day and chose the one with the little flower border; the nurse said she just kept raving about how soft it was, how much she liked the flower border, how nicely it fit her head – (good!). The nurse said I now have a ‘Fan’! Good to hear, ’cause I’m planning on knitting them as many as I can while I’m there! Keeps me busy and helps someone else, too! OH! forgot to tell you – I won a pound of Caribou Coffee the other day! They had a little table in the lobby at the Cancer place so I filled in a form; Wednesday when I came in the receptionist said: “You won the free Coffee! !” (I’m one of those people who rarely win anything, so that was a nice surprise!). I don’t brew coffee, but it will make a nice present for my friend who’s going through chemo (I’m making her up a little bag for Sunday – I love surprising people!). The receptionist said I can still enter their drawings – I thought once you won you’re done, but she said no – enter once every day – they draw once a week. Nice! to taste. Add chicken broth and wine. pumpkin is extremely soft (approx. large, non-stick skillet over high heat. mixture and top with olive half. until a golden crust has formed. evenly over apples.Bake 1 hour. drain & set aside. Saute onion in 5 T.
or until melted, stirring frequently. rectangle; top with meat mixture. Roll up, starting at one long side. people. Hopefully Color Guard will gain more interest NEXT year! It’s a GORGEOUS Sunday today – 55 degrees, sun shining brightly and all around are lovely colors of reds, yellows, browns and green – leaves on the trees and on the ground, and some trees still green. I love seeing this kind of a Fall day – makes me think of apple cider, warm cinnamon donuts, crunchy apples and of course, nice warm soups and stews. Tomorrow is Day #1 of 6 1/2 weeks of Radiation Therapy (to kill any errant cancer cells). Not exactly sure what all that will entail, but from bits & pieces of information from other friends who have already been down this road, I’m guessing I’m looking forward to two things: My first Tatoos and “the Gel table”! Tatoos, you ask? From all I’ve been told, they will be putting small blue/black marks on me to mark the margins for the radiation machine. One friend who had them done 9 years ago said her’s are permanent; reading one of the American Cancer Society booklets said they might be semi-permanent (as in the reminder in that part of the booklet not to scrub them or attempt to wash them off) – interesting – wonder which mine will be? (a friend in church today suggested my husband will have fun playing ‘connect the dots’!) As to “the Gel Table” – I’m told that there is a special table with gel on it that I will lay on in exactly the position I will be in for the treatments (knees slightly bent, right arm over my head, head tilted slightly upwards and towards the left). The gel will be used to make a permanent ‘form’ which will keep me in the same position each time I have a treatment. This ought to be interesting – wonder what they will do with all my hair? Maybe they have a shower cap to keep the gel from gumming my hair all up – who knows? Why, I will – tomorrow! Anyway – I’m still looking at all this the same as I did when it all started back in August – this is a SPEED BUMP in my life – I need to go through and over it, but it’s not the end of everything! Life goes on and I have a lot of living to do, people to help, a husband to enjoy his retirement with, children to raise and a grandson I need to experience more. I will attempt to go through this as best I can, with the Lord’s help! (yes, I’ll keep you informed – good days and bad). If there is one thing I’d like to impart on others, it’s LADIES – GET YOUR MAMMOGRAMS DONE REGULARLY! THEY SAVED MY LIFE!!! (now back to ‘normal’ and off my soap box) . . .
Preheat oven 350 degrees F. Bake for 20-25 minutes. the sticky part will be on the top. well. Add egg and beat until light. filling is set and pastry baked. omitting salt & fat. Drain well; keep warm. mixture to large bowl, keep warm. 1/4 C. parsley and crumbled bacon. Serve immediately; makes 8 servings. at least 1 hour to allow flavors to blend. Add chicken; toss to coat. Place 1 1/2 C.
salad. Sprinkle with onions & almonds. on top. Add butter and undiluted soup. sugar in 2-Qt. microwavable bowl. dish; drizzle with 2 T. orange juice. indulge yourself in one of those 'iced coffee' drinks! we do - remember to Count Your Blessings! These are the most recent projects; I finally settled on a pattern that works for Ladie’s Adult hats. I’ve been knitting these on smaller needles and thinner yarn (for those of you who do crafts: sport or baby weight yarns). Bernat Yarn Company makes a beautiful self-designing baby yarn called Bernat ‘Baby Jacquards’ which, when knit straight, makes patterns in the project without you having to design it yourself. The one I’m currently using has various shades of pink and then goes to a pink with white background and makes sort of muted pink flowers with green leaves! (the individually photo’d hat has that yarn as the bottom band). Next up is attempting to use that pattern and a bit thicker yarns to knit a man’s hat (adding on about 10 more stitches and knitting a longer ‘bottom to top’ total hat; we’ll see how that goes. Now that it’s Fall . . .
powder, cinnamon, ginger, nutmeg & salt. chips on top and bake another 5 minutes. for 4 to 6 hours. Just when I thought I’d figured out the ‘secret’ to my blog server not taking my posts, it’s doing it again! I posted the recipes FIRST, thinking I’d by-pass the goofy errors it keeps making when it comes to recipes – guess that didn’t work! I can’t down-space the recipes to start writing above them! GO FIGURE! Oh well, since it’s getting towards Halloween and people like recipes for that time and cold weather, thought I’d post some that could be used for both. Enjoy! ps: Our weather here in mid-Michigan is now staying in the 40’s during the day, raining and cold with blowing winds – Yuck! Nice if you like staying indoors and rooting through your closets for warmer clothes! Here we are on a wet & rainy Wednesday, sipping coffee and finally RELAXING! Yep – another two days of ‘The Crazies’ around here. Monday, from around 11 a.m. to around 8:30 p.m. (with a few minutes taken off for a bite to eat and bathroom break) my middle son (the one that had the car accident/kidney & bowel problems, etc. three weeks ago) and I went CAR SHOPPING! (oh yay, yipee – NOT!). I love how he conveniently DIDN’T tell me his ‘plan’ before we set off going to dealerships searching for a car he could afford (in the $10,000 range). We hit the local KIA dealer (he wanted a foreign car for it’s great gas mileage – sigh) – found one that was in his range (wrote that down in my notebook and off we went). After that it was our local Chrysler/Dodge dealership where he found a car VERY similar to his old one – he liked that one so much he put a $500 deposit on it. Now, you’d think by doing that he was finally ‘in the home stretch’ in buying his car, right? NOPE! Next stop: Toyota dealership. I was very pleasantly surprised there – the young man who assisted us was VERY eager to help (and NOT pushy! ); we looked at and test drove several cars – of all the dealership people (and remember I HATE salespeople!) this young man was VERY good at what he did without alienating us by overkill. After writing down another ‘possible’ car, our last stop was the local Honda dealership. To shorten this story, he looked at several used cars then we had to go pick up youngest son at school and come back. On the return trip, ‘car buying’ son went off with the saleslady and the next thing I know they’re talking NEW CAR LEASING! (sure shocked me!) 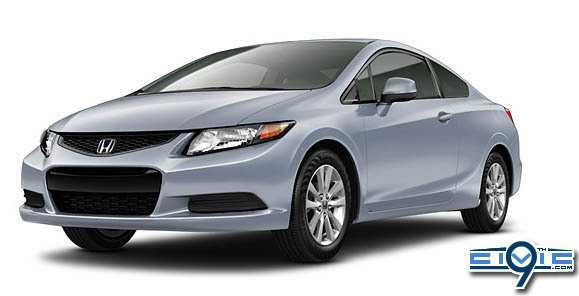 With much juggling of numbers and Dad as a co-signer, middle son is now the proud owner of a 2012 Honda Civic (in “Cool Metalic Mist” color – looks sort of white/silver – or as he described it: like the inside of a sea shell – it changes in different lighting). It’s got all the d0-dads: an on board computer display (instead of your average speedometer), hook ups for your iPod, computer, cell phone, etc. but the MOST impressive thing of all is: their air bag system! When deployed, there are air bags all around the inside of the car – every window has it’s own air bag; basically you look like you’re inside a air mattress! The saleslady said she has a 2009 model and she doesn’t worry when her younger son drives the car because she said that Honda is very proud of their protection system. That’s something a Mom wants/needs to hear. He’s thrilled with the car and now he’s back ‘on his own’ and we get to schedule our OWN appointments and things to do. Feels a little strange after almost four weeks, but it’s now ‘time’ for our middle son to be back doing his own things now that he’s healthy and has his own wheels. I also had a lovely experience yesterday going out to lunch with an old friend. We’ve known each other for a good 25 years and she mentioned at church that she would like to take me out to lunch before I start Radiation. We went to Bob Evans and ‘chatted’ for 2 1/2 hours! It was very nice; we shared experiences, prayed with each other and had a nice lunch – all in all, a very nice time. I have more recipes to share; recently a reader wrote mentioning a particular recipe; I just wanted to repeat that these are NOT my own, personal recipes. I subscribe to about 5-6 recipe sites and glean the good-sounding ones to share with you. (I try to list the original poster and the site from whence I got the recipe at the bottom of the recipe). I can’t say that I’ve tried very many of them and am sorry if sometimes you don’t get the results you were hoping for when trying them but wanted to repeat that these are NOT my recipes. Some might ask: then, if you haven’t TRIED them and they are NOT yours, why post them? Simply because I thought someone else might find them useful and/or tasty. (just a little disclaimer here). Grease a 9 by 13 inch pan . In a large bowl cream butter & sugar . Add remaining ingredients ( except for jam ) & mix well . Pat three fourths of the dough into bottom of pan . Spread the jam over top of dough . Crumble remaining dough over jam . the carrot is soft to bite, about 10 minutes. parsley and serve. Makes 4 servings. Not sure why, but the computer is doing ‘it’ again; I go to ‘paste’ the recipe and instead of pasting, it highlights all the above materials. I learned the hard way the other day that if I go ahead and try to paste with all the ‘above materials highlighted, it will totally erase it all with no way of getting any of it back! Frustrating! Well, let’s see what happens if I try to post more recipes below this: NOPE! Still doing it – sigh. Guess I’ll try to just put all my recipes on a separate list then do just one mass post of those recipes. Ya win some – ya lose some. Oh well, lots more recipes to come! Enjoy your day (rainy or not); remember that EVERY day is precious and use it to it’s fullest! Rinse & sort beans in a large pot. overnight or at least 8 hours. 2 hours until beans are tender. combine with cheese soup and ham. Add liquid from beans, to taste. just before serving. Serves 16.
smooth; stir into cabbage mixture. 1-2 minutes or until thickened. medium sized pan, pour 1/2 C.
water & add broccoli & diced onions. It’s a gorgeous FALL day out today – (typical Fall temperatures: 54 degrees mid-day), sunny and very windy; you can see all the pretty yellow and gold leaves blowing everywhere. Last night I got a very pleasant surprise; yesterday was the last home football game for my youngest son’s high school and they did something they call the “Senior Walk”. I’ve never witnessed this but supposedly before the game starts they announce the names of each of the students who are Seniors this year, then they walk across the field with one or more of their parents. (small side line here: the plans for this were changed at the very last minute – before the change I couldn’t do it, after then change I ‘could have’ but son said ‘never mind’, he walked with two of his ‘girl-friends’ from Color Guard). When he arrived home later on in the evening, he knocked at our back door very loudly. I’m thinking: “Where is your house key?” and answered the door. When I opened it he was down on one knee with a bouquet of 3 pink & red roses, tied with a very pretty navy bow. He said: “These are for you from the Band Boosters – when they heard you have Breast Cancer they wanted to send you a gift in honor of Breast Cancer Awareness month.” Talk about surprised! What a nice gift. Today the house is amazingly quiet; youngest is at a Band Competition in Livonia all day (12 p.m.-around 9 p.m.) and middle son is out with friends watching another friend compete for a belt in a karate-like competition. It’s just my husband and I – a very nice, refreshing change! While we two were eating dinner last night we got to talking about that very thing: the fact that sometime in the future it will be just ‘us’ – no kids! Strange thought – cooking much smaller meals, less ‘stuff’ to pick up on the floor (empty paper plates, dirty socks, empty cereal bowls with just a little bit of milk left in them, etc.). Youngest is graduating in June (hopefully!) and plans to move out then and go ‘find his place’ (my words). Middle son is now 22 and is still not financially stable enough to move out; right now he’s looking at purchasing another very much-needed car (since his last one was totaled in the accident about 4 weeks ago). This time he’s decided to look at low mileage cars, not so much the look or all the fancy ‘extras’ – so he’s looking at foreign cars. Now, to some people that might not mean a lot, but here in Michigan (Motor City Car Capital of the nation), buying foreign is very much frowned upon. (in his case, however, I fully understand his reasoning – as his job consists of driving special needs students, so a car that gets good mileage is a BIG requirement). We’ll see how this all turns out. Working on Chemo Cap #14 today; finally have the pattern down – it’s very easy and should fit most women’s heads nicely. Perhaps I’ll go for knitting one for men soon; right now I’m enjoying using baby-weight yarns to get hats that are not only practical, but are also light weight and very soft. (Not exactly sure what yarns to use for men – perhaps a sock yarn might work? We’ll see – I see experimentation in my future!). I had some really nice recipes all ready to post for you but my (fill in the blank) server is really acting STUPID! First it kept taking the first line of the recipe and putting it directly next to the recipe title; when I almost had that one solved, it decided that all of the 8 or so recipes needed to be totally UNDERLINED – every single stinking line! Made it totally impossible to read the recipe! UGH! Talk about frustrating! For right now I’m going to just publish this entry and attempt to re-type the recipes on another format, then perhaps post them some time in the future. Sorry – I had recipes for ya – Oh well – all things in due time, I always say! Hope you’re having a great, relaxing Fall day. Just got back from the visit to the kidney specialist for middle son – he’s OFF THE RENAL DIET!!! Yay – he can eat whatever he wants – and, what did he first want, you ask? A XL giant burrito from Taco Bell! (Believe me, we talked this all over with the doctor and he just kept saying: “Whatever he wants!” Amazing! Re-check in 3 months but his kidneys are healing! THANK YOU LORD!!! I also took him on a walk through the garden by the cancer center; it was early morning and a bit chilly, but sunny – he noticed a spider web covered in dew which was illuminated by the sunshine – very cool. I am ‘dancing on the ceiling with excitement’ today; a week ago this was a totally different scenario and I owe it all to the Lord and HIS healing powers (as well as many praying friends). Just had to share this! Preheat oven to 350° F.
Grease a small/mini loaf pan. vegetables and barley are tender. some for a really cold winter's night! into 2-quart shallow baking dish. bowl, tossing with a fork until moist. 12 minutes; cool crust on a wire rack. and salt in a small heavy saucepan. over filling. Chill. Makes 8 servings. Birthday! Full of happy, bubbling excitement! that has been greatly missed these past 2-3 weeks! Hoping YOU have a wonderful, full-of-blessings day! a great ending - I needed that!